This article was sponsored by iD Tech, but all opinions are our own. Our kids love all things STEM. I spent at least an hour last night listening to my eleven-year-old son talk, in enthusiastic detail, about his plans to build a small-scale steam engine to power his iPod. My daughter’s just as much of a STEM geek. She’s into building, and is currently obsessed with all things MineCraft. As to be expected with their great love of all things STEM, they’ve begged to go to a STEM camp this year, which led me to look into iD Tech Camps, billed as top tech camp organizer. Here’s what we found out about iD Tech Camp summer camps, scholarships, and their online offerings at Tech Rocket. We also check out their reviews from other parents and in the press. What is iD Tech camp, and what do they offer? iDTech summer camps aimed at kids or kids aged 6 to 18, and they offer coding, game design, VR, robotics, engineering, 3D printing. The company offers week-long programs for different age groups, allowing technically minded children to learn about the latest advancements in coding, robotics and various other fields, as well as to develop their creativity in a fun way , and to build skills that will serve them well in the future. Tip! We have a special discount for you! Just use iD Tech camp promo code APR2017 to save $75 off iD Tech Camp. iD Tech computer camps teach over 55k,000 students about the intricacies of coding, robotics and design and are organized in over 150 locations. All camp locations are prestigious campuses, including the University of Washington (Seattle & Bothell campuses), the University of Puget Sound in Tacoma and Bellevue College, which offer the infrastructure necessary for providing technology education of the highest standards in a safe, controlled, yet free and fun manner. There are over 150 prestigious campus locations. “The official iD Tech guarantee is as follows: We guarantee a maximum of 8 students per instructor at all on-campus iD Tech summer programs. If, during your participant’s course instructional hours we should go beyond 8 students per instructor (9 or greater) for two or more consecutive days, the participant receives $100 off their tuition. Whatever technology field your children are interested in, and no matter what age they are, iD Tech summer computer camps will likely have a camp for them. 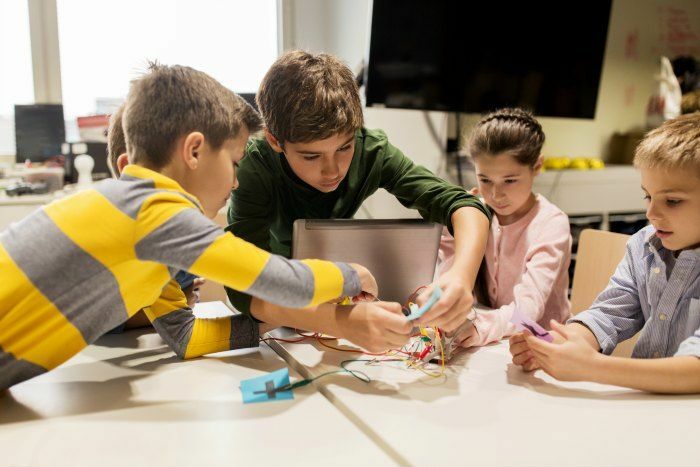 Programming and app development, game design and development, robotics, web design, film, video, 3D modeling and printing are the main themes, allowing kids to design and create their own projects, whatever their area of interest. Robotics and gaming-themed camps are offered to all age groups between 6-18, while kids aged 7-17 can choose film, web-design and 3D themed camps, too. Most camps are co-ed, but girls aged 10-15 can enjoy a league of their own with Alexa Café All-Girls Tech Camps. The all-girls summer program combines tech, entrepreneurship, and social activism, empowering the next generation of women in STEM. If you can’t make a summer camp, or you’re based outside of the USA, iD Tech offers online courses for ages 10+ on their Tech Rocket website. Tech Rocket is available year-round and includes opportunities for live tutoring through video chat. This is a great option for international students who can’t make the trip down to US-based camps. The camps organized by iDTech are immensely appreciated – and not only by the kids. It took a bit of time to sort through the press comments on iD Tech, but they were all overwhelmingly positive. A video by PBS Newshour visited the all-girls coding camp and presents a girls’ take on video games, showing how the camp participants view gaming, competitiveness and various other issues related to gaming and how they already have an idea about the way they will able to change this rapidly expanding area for the better. An article in the Chicago Tribune talks about kids coding, and science behind video games, and how iD Tech camps teach both. There are more press clips on iD Tech on the iD Tech website. There are over 275,000 iD Tech students and alumni. That’s an impressive number. Most parents mention in the student and parent reviews how much their kids enjoy spending time in the camp, as well as how professional the organization and the staff are. 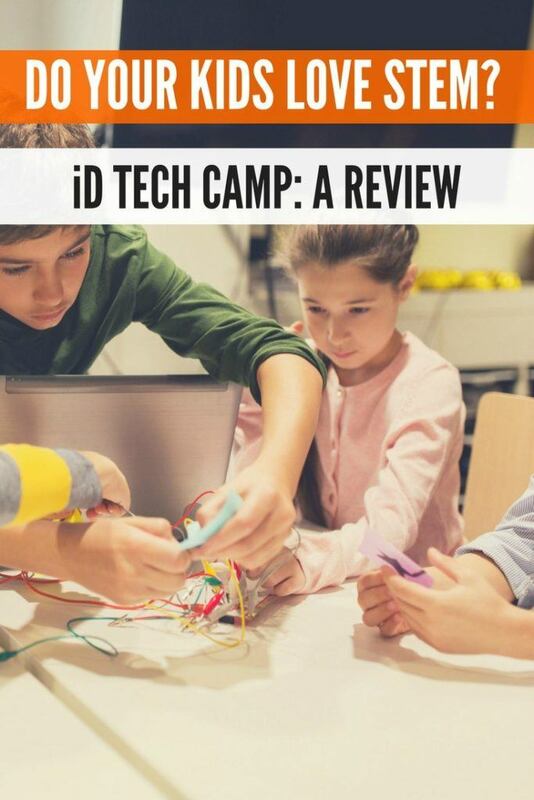 iDTech camps are just wonderful – if your kids take are interested gaming and modern technology, these summer programs will educate them, entertain them and help them make new friends. Scholarships are available, but make sure you apply early! We have a special discount for you! Just use iD Tech camp promo code APR2017 to save $75 off iD Tech Camp. You can find out more on the iDTech website, or on their Facebook, Twitter, or Instagram. They’re a BBB+ accredited business. HI, I have been researching these camps for my son. I have been reading some very disturbing reviews and actualities from both kids who participated and from former people who worked them. They don’t match your review. The paint a very poor picture of the camps. My son is attending one now and I am finding itWhile to be a poorly organized, and unprofessional experience. I hope you had a better experience. I also see that you have an advertising link in your review for ID Tech workshops. I’m not sure if you are receiving advertising dollars from them, but it does seem there could be a conflict of interest if you are. And with kids safety and parents hard earned money at stake – I would expect you to be more upfront about any sponsorship ties. Thank you so much for writing. We’re very glad to hear some first hand experience about the camp. I’m so sorry that your experience has been bad. ID Tech did sponsor this review, and this is clearly disclosed both at the very start and at the very end of the review.